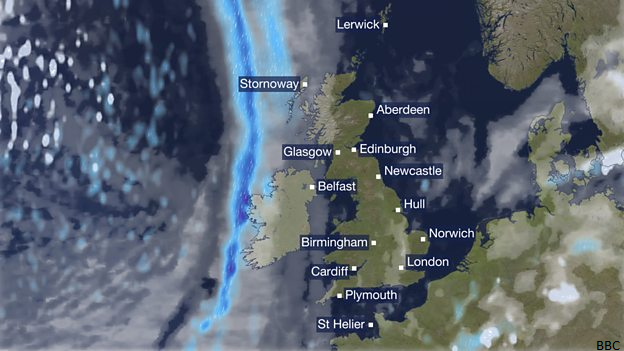 Launching during the BBC News at 1, the new BBC Weather maps will be un-tilted for the first time in over a decade. The new look as part of the broadcaster's long-awaited migration to weather provider Meteogroup. 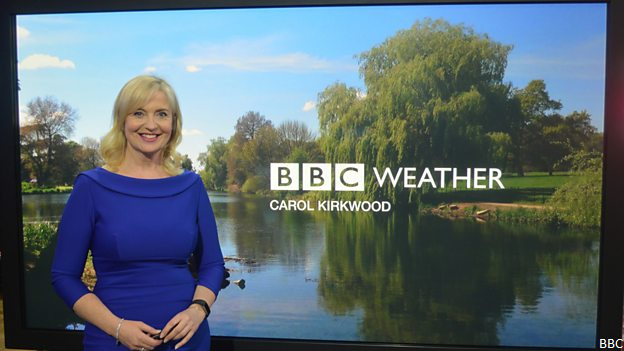 Weather presenter Sarah Keith-Lucas will present the first television weather forecast with the new data on the BBC One lunchtime news. But the BBC will still be working with its previous provider, the Met Office for severe weather warnings and will continue to broadcast these important messages across its UK outlets. As part of the change, starting with the weather forecast at the end of Tuesday's BBC News at 1pm, the BBC is returning to a flat map projection for the regional and UK views, ending the use of a projection that proved unpopular with viewers in northern areas, because the angle at which the UK was shown made Northern Ireland and Scotland smaller. In addition to the flat map, a new globe graphic will allow presenters to move around the world, displaying a variety of data from falling snow particles to areas likely to see the aurora or ‘northern lights’. Presenters and producers can also customise their forecasts for TV and online - adding different layers of data over the maps to tell the most relevant weather story. As we reported last month, the BBC has already begun to roll-out changes, with a new weather website having gone live for some users in Janaury. The new style now appears on updates to the BBC Weather app. Both the website and app will now provide up to 14 days of hourly forecasts for more UK and international locations. Some of the web changes have proved controversial with some users, with some claiming it can't be used unless a user is signed in to the BBC. However, our tests show while personalised forecasts are not available unless signed-in, full forecasts and map functionality are still available to all. The BBC says it now has access to more weather data models than ever before so there will also be longer range forecasting on TV and radio. Additional digital features to help users to plan their days with a ‘chance of rain’ percentage and a ‘feels like’ temperature which guides users on how warm or cold it will feel outside given the wind conditions, have been added to the service.